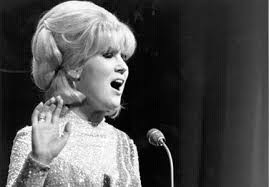 Mary O'Brien OBE, who was professionally known as Dusty Springfield, was born today, April 16, 1939. She was a pop singer and record producer whose career extended from the late 1950s to the 1990s. With her distinctive sensual mezzo-soprano sound, she was an important blue-eyed soul singer and at her peak was one of the most successful British female performers, with six top 20 singles on the US Billboard Hot 100 and 16 on the UK Singles Chart from 1963 to 1989. She is a member of the US Rock and Roll and UK Music Halls of Fame. International polls have named Springfield among the best female rock artists of all time. Her image, supported by a peroxide blonde bouffant hairstyle, evening gowns, and heavy make-up, as well as her flamboyant performances made her an icon of the Swinging Sixties. Born in West Hampstead to a family that enjoyed music, Springfield learned to sing at home. In 1958 she joined her first professional group, The Lana Sisters, and 2 years later formed a pop-folk vocal trio, The Springfields, with her brother Tom Springfield and Tim Field. They became the UK's top selling act. Her solo career began in 1963 with the upbeat pop hit, "I Only Want to Be with You." Among the hits that followed were "Wishin' and Hopin' " (1964), "I Just Don't Know What to Do with Myself" (1964), "You Don't Have to Say You Love Me" (1966), and "Son of a Preacher Man" (1968). As a fan of soul music, she brought many little-known soul singers to the attention of a wider UK record-buying audience by hosting the first national TV performance of many top-selling Motown artists beginning in 1965. Partly owing to these efforts, a year later she eventually became the best-selling female singer in the world and topped a number of popularity polls, including Melody Maker's Best International Vocalist. Although she was never considered a Northern Soul artist in her own right, her efforts contributed a great deal to the formation of the genre as a result. She was the first UK singer to top the New Musical Express readers' poll for Female Singer. To boost her credibility as a soul artist, Springfield went to Memphis, Tennessee, to record Dusty in Memphis, an album of pop and soul music with the Atlantic Records main production team. Released in 1969, it has been ranked among the greatest albums of all time by the US magazine Rolling Stone and in polls by VH1 artists, New Musical Express readers, and Channel 4 viewers. The album was also awarded a spot in the Grammy Hall of Fame. Despite its current recognition, the album did not sell well and after its release, Springfield experienced a career slump for several years. However, in collaboration with Pet Shop Boys, she returned to the Top 10 of the UK and US charts in 1987 with "What Have I Done to Deserve This?" Two years later, she had two other UK hits on her own with "Nothing Has Been Proved" and "In Private." Subsequently, in the mid-1990s, owing to the inclusion of "Son of a Preacher Man" on the Pulp Fiction soundtrack, interest in her early output was revived. 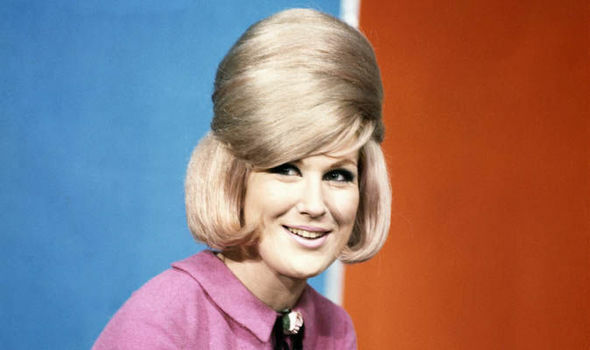 Some of Springfield's biographers and journalists have speculated that she had two personalities: shy, quiet, Mary O'Brien, and the public face she had created as Dusty Springfield. An editorial review at Publishers Weekly of Valentine and Wickham's 2001 biography, Dancing with Demons, finds that "the confidence [Springfield] exuded on vinyl was a facade masking severe insecurities, addictions to drink and drugs, bouts of self-harm and fear of losing her career if exposed as a lesbian." Simon Bell, one of Springfield's session singers, disputed the twin personality description: "It's very easy to decide there are two people, Mary and Dusty, but they were the one person. Dusty was most definitely Dusty right to the end." In her early career, much of her odd behaviour was seen as more or less in fun—described as a "wicked" sense of humor—including her food fights and hurling crockery down stairs. In the 1970s and early 1980s, Springfield's alcoholism and drug addiction affected her musical career. She was hospitalised several times for self-harm by cutting herself, and was diagnosed with bipolar disorder. “Many other people say I'm bent, and I've heard it so many times that I've almost learned to accept it ... I know I'm perfectly as capable of being swayed by a girl as by a boy. More and more people feel that way and I don't see why I shouldn't." In the 1970s and 1980s, Springfield became involved in several romantic relationships with women in Canada and the U.S. that were not kept secret from the gay and lesbian community. From late 1972 to 1978, Springfield had an "off and on" domestic relationship with Faye Harris, a U.S. photojournalist. 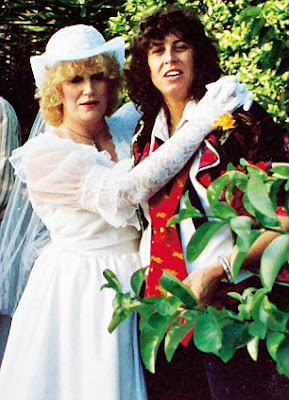 In 1981 she had a 6-month love affair with singer-musician Carole Pope of the rock band Rough Trade. During periods of psychological and professional instability, Springfield's involvement in some intimate relationships, influenced by addiction, resulted in episodes of personal injury. In 1982 Springfield met an American actress Teda Bracci at an Alcoholics Anonymous meeting; the pair moved in together in April 1983, and 7 months later, they exchanged vows at a wedding ceremony, which was not legally recognized under California law. The pair had a "tempestuous" relationship, which led to an altercation with both Springfield and Bracci hospitalized; Springfield had been smashed in the mouth by Bracci wielding a saucepan and had teeth knocked out, requiring plastic surgery. The pair had separated within 2 years. In January 1994, while recording her penultimate album, A Very Fine Love, in Nashville, Tennessee, Springfield felt ill. When she returned to England a few months later, her physicians diagnosed her with breast cancer. She received months of chemotherapy and radiation treatment, and the cancer was in remission. In 1995, in apparent good health, Springfield set about promoting the album, which was released that year. By mid-1996, the cancer had returned, and in spite of vigorous treatments, she died in Henley-on-Thames, Oxfordshire on March 2, 1999. I remember her way back to when she was one-third of 'The Springfields' and their several hits together, her brother Tom himself being no mean songwriter. I think international success as solo artiste many felt should have been due to her always seemed to be just out of grasp - certainly strong in those pockets where she was appreciated, but hardly ever seen as being up there with the internationally recognised legends of the 60s and later years. She tried to do a 'come-back' national tour around 1980, including a one-night appearance in Oxford which I booked for, but the public response was so poor that the whole tour was called off, something which must have been humiliating for her. Her too-short final years when she was helped by the Pet Shop Boys to recover some of the magic and fame of her celebrity glory turned out to be less than she deserved, and she left many of us in a feeling of fate having cheated us by dangling a what-might-have-been presence before our eyes for a relatively brief interval before whisking her away. Of all her single releases it's her version of Carole King's 'Goin' Back' which probably most would cite as her highest achievement in that limited field - including in the opinion of the songwriter herself. I wouldn't disagree but I have always had a special affection for her release of 'I Close my Eyes and Count to Ten'. What a song! Gone before she should have gone - as so many have likewise done before her and since. To my mind there was a fleeting will-o'-the-wisp quality about her fame despite her having been in and out of public consciousness for over three decades. I do so wish fate had been kinder to her.